Don't compromise when it comes to secure document delivery. 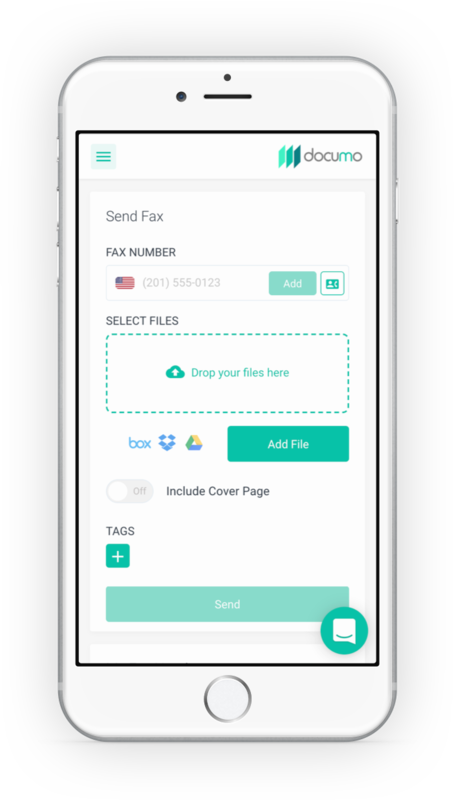 Reliably send and receive faxes from anywhere. We built mFax because fax has traditionally... well, sucked. You shouldn't have to cringe when you hear the word fax. Securely and reliably transmit documents from anywhere. The mFax platform is built with industry-leading security standards. Documents are encrypted at rest and during transport. User authentication, audit trails, and intrusion detection are all built-in features. Learn more about how we protect your data. We boast an advanced network infrastructure built exclusively for cloud fax. We couple direct tier-1 carrier relationships with our proprietary routing technology to ensure industry-leading fax success rates. Total flexibility to customize your fax deployment. Want the simplicity of sending and receiving from email? No problem. Looking to integrate? Our Fax API is built for just that. The look and feel of the site is excellent. I found the software to be very easy to use and visually pleasing. This company offers monthly subscriptions, but they have a 14 day free trial where you can send/receive faxes (i think 50??). Easily and hands down the best online fax service that I have used. Also beats going to Staples or something to fax something. I had a couple of questions and used their online chat. Was fortunate to end up speaking to Evan, who was awesome. No 'why are you asking me that question' type of attitude, but down to earth and very helpful. I like how easy it is to set-up and use. I also like the ability to get the fax's by e-mail notification. The no nonsense web dashboard. You have all of your pertinent needs in one place without clutter. mFax makes it so easy for me to send faxes directly from my email account. I can even set up automated tasks and templates, and incorporate into my property management system. I'm able to send required documents in seconds. Past products were clunky, not intuitive, and did not have a detailed history of sent and received documents easily available. I love the speed and ease at which I can send faxes. Just type in the number, drag and drop my files to be faxed, and hit Send. It's so quick! The web interface is easy to understand and works flawlessly. It's so easy!! And I can send faxes from anywhere (with a Wifi connection). It's so convenient! Also, customer service is top notch!! Ease of use and ease of setup. Was quick. Instantly fax-enable any internet connected device. Send and receive faxes right from your email inbox. There's no additional software to download or install. We will deliver your faxes as PDF attachments. Access the mFax web interface from any web browser. Our modern and mobile-friendly web portal allows you to view your fax history, send faxes, and manage your account. Our advanced Admin portal gives you the ability to take full control over your fax solution. Our powerful and developer friendly API allows you to integrate and automate fax processes. Get up and running quickly with the ability to scale. Send and receive, get detailed call reporting, and automate user provisioning from our REST API. Cloud-enable your MFPs and fax machines. Eliminate the need for POTS lines while maximizing security and control of your fax devices with our reliable HTTPS fax adapters. Our Windows Print to Fax driver allows you to easily send a fax from any Windows application that allows you to print. Simply download and install the driver and fax in 3 easy steps. We built mFax with Enterprise-scale deployments in mind, yet priced our plans so companies of all sizes can have access to a reliable VoIP fax solution. 10 pages or a million. 1 user or 10,000. We’ve got you covered. mFax is the online fax service you've been looking for. Carrier or Value Added Reseller? Partner with Documo to add reliable online faxing to your product portfolio.